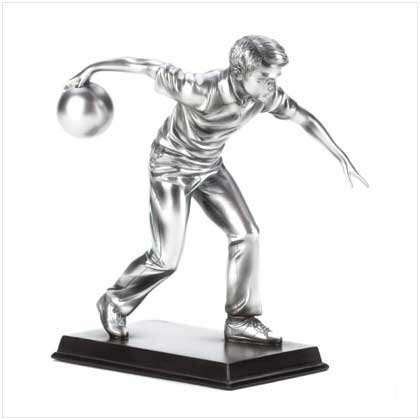 For the "alley rat" in your family, a bowler in full stride lines up his next strike. Polyresin, with a realistic pewter finish. Measures: 4 3/4" x 3 3/4" x 6 1/4" high.